Did You Miss These Helpful Irish American Genealogy Articles? The GenealogyBank Blog has posted several articles on Irish American genealogy. Since March is Irish American Heritage Month and we celebrated St. Patrick’s Day last Monday, we thought you’d enjoy these links to the following articles. They should help you with your family history research into your Irish ancestry. 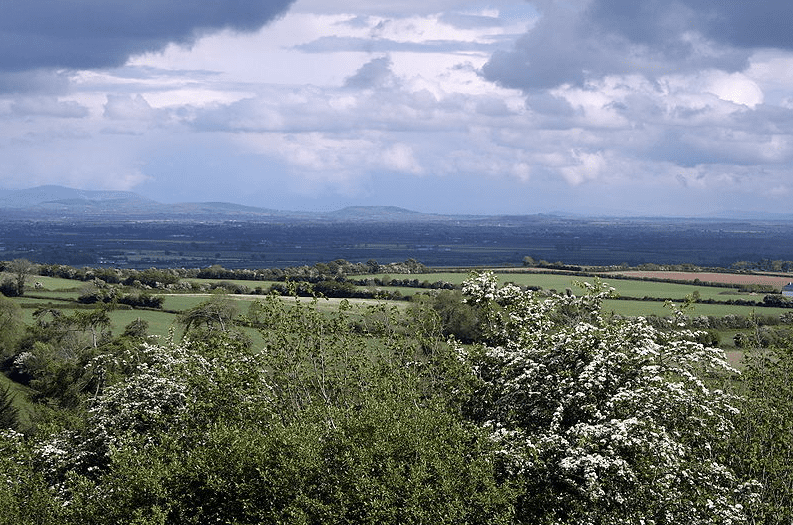 Photo: South Kildare plains, looking east at the Wicklow Hills, Ireland. Credit: Wikipedia. Search Irish Genealogy Records Online at GenealogyBank! Everyone’s a Wee Bit Irish around St. Patrick’s Day! After reading the Blog articles listed above, try a search for your Irish American ancestors in GenealogyBank’s online Irish American Newspaper Archives. This collection features newspapers published in New York that documented Irish American lives, featuring birth, marriage and death information from Ireland years before civil registration began there in 1864.